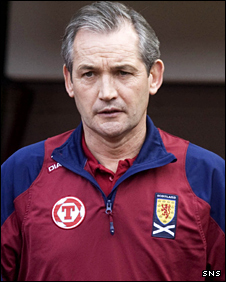 George Burley has won his fight to remain Scotland manager, the Scottish Football Association has confirmed. Burley's position was under review after the failure to reach the play-offs for the 2010 World Cup finals. But SFA chief executive Gordon Smith said: "We felt that there were positive signs about aspects of the campaign, despite the fact we did not qualify. "And we want to invest our faith going forward in the manager and the players. George has the SFA's full backing." That statement to the media followed showdown talks on Monday, when Burley persuaded SFA office bearers he should remain in charge. And the SFA board ratified the decision following a further meeting lasting around an hour at their Hampden headquarters on Tuesday. Burley, who is under contract until next summer and with the SFA having an option to extend that to the end of the Euro 2012 campaign, had been under pressure after the national team failed yet again to qualify for the finals of a major tournament. But Smith expanded in an official website statement: "It was always our intention to sit down with George at the end of the World Cup campaign to look back at the events of the past 12 months - and also to look ahead to the upcoming Euro qualifying campaign. "This meeting would have taken place regardless of the result of the World Cup campaign. "We met with George yesterday and it was clear that he was as disappointed as everyone that we have not made it to South Africa." Despite being handed a relatively kind draw for the 2010 World Cup qualifiers, a 1-0 defeat by the Netherlands at Hampden on 9 September meant Burley's side finished third in Group Nine behind the Dutch and Norway. Scotland have not qualified for the finals of a major tournament since the 1998 World Cup in France and that failure, following a troubled campaign, had left Burley battling for his future. "You will not meet a more passionate, committed Scot than George," said Smith. "He is a man who cares deeply for his country and wants to take us back to the stage where we regularly qualify for major championships. "This is where we all feel we belong - and this is what we must all work together to achieve." There are suggestions that Burley, whose tenure coincided with four Rangers players ending their Scotland careers, is considering changes to his back-room team. "We all acknowledge that there have been disappointments over the past year and that we have not met our objective to qualify for the World Cup," said Smith. "However, what is also clear is that George and his players have shown that they are moving in the right direction. "George has been rebuilding his squad and brought through many young players who he feels will bring us success in the years to come. "That is why we have today given our full backing to George as Scotland national coach. "The next competitive match is not for another 12 months and this gives George and his players the chance to continue to grow and develop together. "This is not the time for change. If the World Cup campaign has shown us anything, it is that we are at our best when we work together. "It is by standing united behind the manager and the team that we can achieve the success that we all crave." Burley has yet to make a statement following Tuesday's meeting, but the former Hearts manager insisted over the weekend that he still has the appetite to continue. "I still have a passion for this job," he said. "We are heading in the right direction and I will do everything I can to make this country successful. "However, if the SFA decide the job isn't there for me, I will accept it and move on." 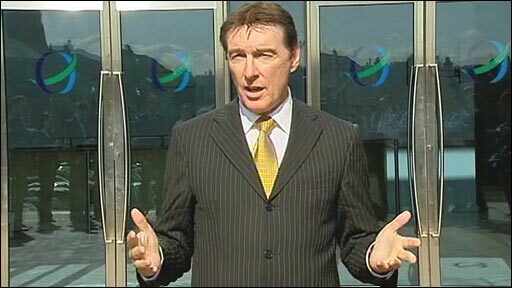 Burley will not now have to seek alternative employment after convincing the SFA that he should remain in charge. Should Burley stay or go?